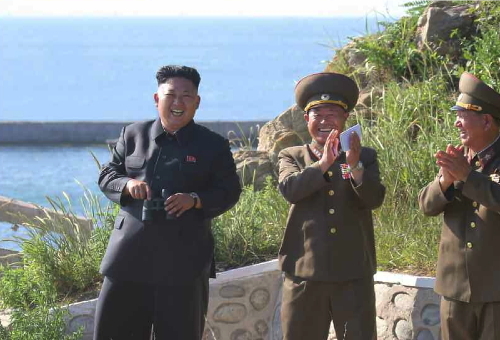 Kim Jong Un during an inspection of Ung Islet. Also seen in attendance is Col. Gen. Pak Jong Chon (center) and VMar Hwang Pyong So (right) (Photo: Rodong Sinmun). Colonel General Pak Jong Chon [Pak Cho’ng-cho’n] is head of the Korean People’s Army [KPA] Artillery Command and Vice Chief of the KPA General Staff. He is also a member of the Workers’ Party of Korea [WPK] and deputy to the Supreme People’s Assembly. Little is known about Pak. 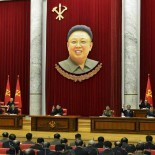 He did not appear in DPRK state media until 2012 after Kim Jong Un [Kim Cho’ng-u’n] became supreme leader. 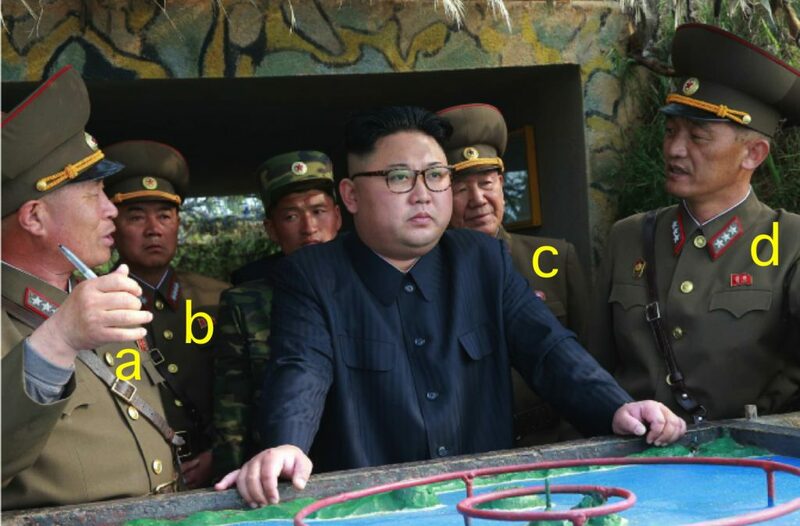 Given his current position, it is probable he was an artillery brigade or company commander or was a member of the KPA Supreme Command staff and, thus, his name would not be mentioned in state media reporting. Given Jong Un’s own background as having studied artillery tactics at Kim Il Sung Military University, he may have encountered Col. Gen. Pak during his studies. Another possibility is that Pak was elevated quickly because of close patronage or institutional ties to former Chief of the KPA General Staff VMar Ri Yong Ho [Ri Yo’ng-ho], who was the KPA’s top artillery experts. Col. Gen. Pak was assigned as head of the KPA Artillery Command during 2012 and concurrently became a a one-star general grade officer. He was promoted again in August 2012 to Lieutenant General (chungjang). From 2012 to 2013, he attended numerous field inspections along side Kim Jong Un. He was elevated to Colonel-General (sangjang) in April 2013. He was elected a deputy to the Supreme People’s Assembly in March 2014. 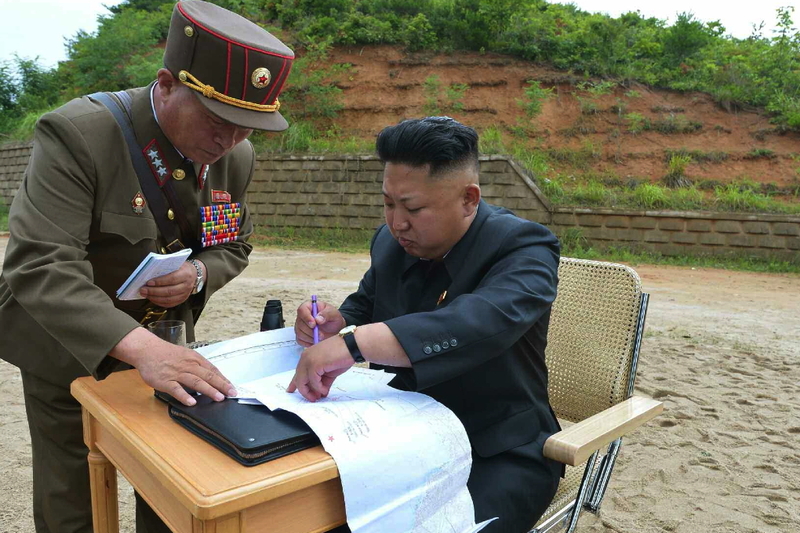 Kim Jong Un reviews plans for an island landing drill conducted by the three service branches of the KPA. Also in attendance is Col. Gen. Pak Jong Chon, Vice Chief of the KPA General Staff (Photo: Rodong Sinmun). Between 2014 and 2015, Pak was reduced in rank. He was temporarily replaced in July 2014 by Lt. Gen. Yun Yong Sik [Yun Yo’ng-sik] as head of the Artillery Command and was identified as head of the KPA Firepower Command Department. At the time of this transitional period there were numerous changes to the General Staff and the KPA high command which may have affected Pak’s career. During the 7th Party Congress in May 2016, Pak was elected a full member of the WPK Central Committee. By November 2016 he returned to serving as head of the KPA Artillery Command. In 2017 he was restored to the rank of Colonel General.